The Northwest Boychoir’s musical sophistication, rich tonal quality, and dedication to exacting performance have established its reputation as one of the nation’s premier boychoirs. 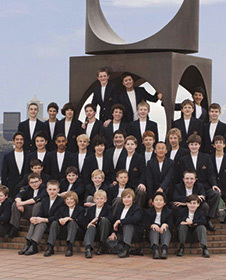 For more than 40 years, the Northwest Boychoir, along with Vocalpoint! Seattle, has trained thousands of young singers, and more significantly, shaped the lives of our region’s youth by teaching important lessons in personal commitment and the value of teamwork. The choir is led by Joseph Crnko, now in his 32nd year as music director. Its staff of professional musicians and educators teaches a rigorous curriculum that trains young singers, 6-18 years old, to be fully-skilled musicians. The choristers sing at the highest professional level, read music fluently and perform in every musical setting with poise and confidence. The Choirs maintain a close working relationship with the Seattle Symphony and participate annually in the performance of great choral works. Recent collaborations include such works as: Bach’s St Matthew Passion, Orff’s Carmina burana, Britten’s War Requiem, Berlioz’ Damnation of Faust, and Mahler’s Symphony No.3. In addition, Vocalpoint has performed on such Seattle Symphony Exclusives concerts as Danny Elfman’s Music from the Films of Tim Burton and last season’s Sonic Evolution concert with the rock band Mad Season. The Northwest Boychoir was honored to join with the Seattle Symphony to present the U.S. premiere of Colin Matthews’ Pied Piper in 2015. 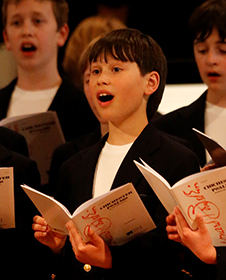 Last spring, the Northwest Boychoir launched a new classical choral concert series, Choral Tradition, with performances in both Portland and Seattle. This year, the series will feature the choir performing the beautiful Fauré Requiem and Pergolesi Stabat Mater. In March the Northwest Boychoir will perform in a special Baroque concert with the Seattle Symphony and guest conductor, Stephen Cleobury, and in June the Boychoir will again be on stage with the Seattle Symphony and Lodovic Morlot for Stravinsky’s Symphony of Psalms.